1. 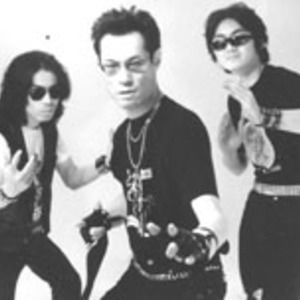 Heavy metal outfit from Japan, formed in 1996. Between 2003 and 2004 the band released three split albums with good friends Gorgon, one single in late 2004 and a EP in 2007. The band is currently releasing through HMSS records. 2. Former Indie Rock band from Scotland (2003-2012) Headlight formed in 2003 but were known as Ask the Panda until 2004. Headlight released the "Colour me in EP" on April the 1st 2012 it was nearly a year overdue after first being announced for a May 2011 release. Headlight formed in 2003 but were known as Ask the Panda until 2004. Headlight released the "Colour me in EP" on April the 1st 2012 it was nearly a year overdue after first being announced for a May 2011 release. After a spell of well over a year without playing a gig as a full band Headlight announced on their Facebook page on the 24th of August 2012 "After much discussion we've decided that it's time to call it a day" and they would play one final gig at the Tunnels in Aberdeen on September the 29th 2012. 3. Dutch funk band from Utrecht. Releases: "Light of fire" (1979), "Hot to trot" (1979). Bandmembers: Jan van Linschoten (bass), Gijs Kasius (drums), Gerard Werner (percussion) and more.